Are MLB No-Hitters Really Getting More Common? Tim Lincecum's no-hitter yesterday was the 22nd since 2010 and a walk away from becoming the sixth perfect game in that same time. This makes no-hitters and perfect games sound abnormally common today. So just how much has the frequency of no-hitters and perfect games changed? Lists of no-hitters vary. Some include defunct leagues such as the Federal League, Players' League, and the Union Association, which can result in as many 286 no-hitters. For this article, we're using a list with 280 no-hitters and fewer defunct leagues. Only 23 perfect games have been thrown. To gauge how often no-hitters were thrown around certain years, the number of no-hitters were grouped together in three-year cohorts. For example, 2014 on this chart includes no-hitters for 2014, 2013, and 2012. 2013 includes no-hitters for 2013, 2012, and 2011. And so on. The same was done for perfect games. We adjusted for total games, so the bump to 162 games in 1962 and expansion teams are accounted for here. No-hitters declined significantly after the dead ball era and remained quite infrequent until the late 1950s. From the 1960s to the mid-1970s no-hitters became more common than during any other time in baseball history. Pitchers like Nolan Ryan and Bob Gibson were so dominant rules were changed to bring more offense to the game. The pitcher's mound was lowered in 1969 and the DH was added in 1973. Following these rule changes, no-hitters tapered off in the late 70s and didn't pick up again until the early 90s. But by the mid-1990s players began crushing more hits and home runs and no-hitters fell off again. But since MLB began testing for steroids, no-hitters have occurred more often as pitchers became more dominant resulting in more strikeouts and less home runs and lowering batting averages for hitters. Over the past few years, the rate has climbed again, and it's spiked back into the range of the dead ball era. Perfect games occur so in-frequently that compared to no-hitters, changes in the amount of perfect games over time appear insignificant. Two years ago The Minitab Blog calculated that the odds of throwing a no-hitter are 1 in 1,548. But throwing a perfect game is much rarer, with odds of 1 in 18,192. Perfect games were sparse before the 1960s with just six occurring before 1964. While they've increased thereafter, they never came in waves until recently. More than a fourth of perfect games (6/23) occurred since 2009. It's difficult enough to throw a no-hitter. But on top of that pitchers need to not walk anyone, hit any batters, or have their fielders commit any errors. Since the modern era, MLB games on average have had between 2.3 walks (in 1904) to 4.04 walks (in 1949). Errors have ranged from 2.42 a game in 1900 to 0.56 a game in 2013. As a result, perfect games only make up 8 percent of all no-hitters. However, since pitchers have dominated lately and errors have declined, perfect games have increased the past five years. Recently, perfect games have also made up a higher percentage of no-hitters than the historical average as 22.7 percent (5/22) of no-hitters since 2010 have been perfect games. 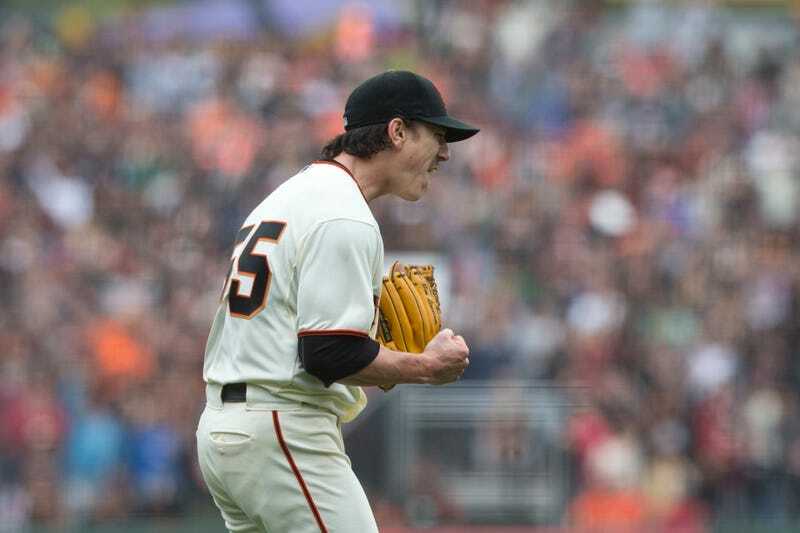 Lincecum's no-hitter is already the third this season and comes only a week after Clayton Kershaw no-hit the Rockies. Statistics on recent seasons suggest the next no-hitter likely isn't far off. And with so many no-hitters occurring combined with declines in fielding errors, there's never been a better chance to witness a perfect game.